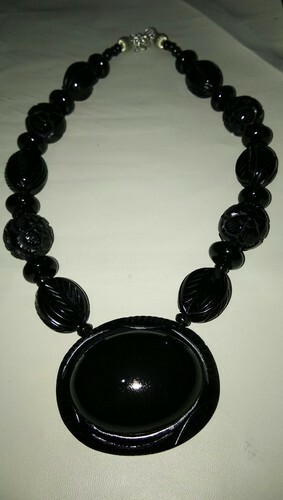 With enriched market experience, we have been able to offer a wide spectrum of Resin Necklace. We “Farman Handicrafts” are involved as the manufacturer and exporter of Horn Crafts, Horn Kitchenware, Resin Products, Hair Comb, Napkin Ring, Magnifying Glasses, Horn Spoon Set, Horn Salt Cellar, Drinking Horn etc. These products are offered by us at the most affordable rates.